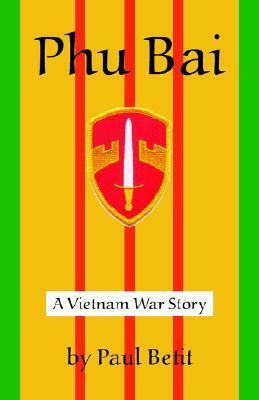 Written by a friend of mine who also served in Phu Bai. A really good mystery. Paul Betit - A former Maine newspaperman, Mr. Betit is the author of three mystery-suspense novels featuring U.S. Army CID investigator John Murphy. His books include Phu Bai, Kagnew Station and the recently-published The Man In The Canal. Mr. Betit worked as a general assignment reporter or as a sportswriter for nearly 39 years, including stints with the Kennebec Journal (1974-85) in Augusta and the Portland Press Herald and Maine Sunday Telegram (1985-2013). In 1991 and 1996, he received awards from the Maine Press Association for his sports features. He continues to cover high school, college and pro sports on a free-lance basis. Mr. Betit is a 1975 graduate of the University of Maine, earning a B.A. degree in journalism. Prior to that, he worked as an account executive for radio stations in Gardiner and Portland while attending the University of Maine at Augusta. Following his graduation from Cony High School (1965) in Augusta, Mr. Betit served as an intelligence analyst for the United States Army Security Agency. He earned letters of commendation for his work while serving lengthy tours in South Vietnam (1966-67) and Ethiopia (1967-69). Mr. Betit lives in Brunswick, Maine, with his wife, Debbie. They have two sons. Recently, a grandson, Alexander, joined the family. Betit’s interests include bridge, golf, reading, writing, walks with the family dog, conversing with all sorts of people about all sorts of subjects, and, most importantly, spending time with his family.